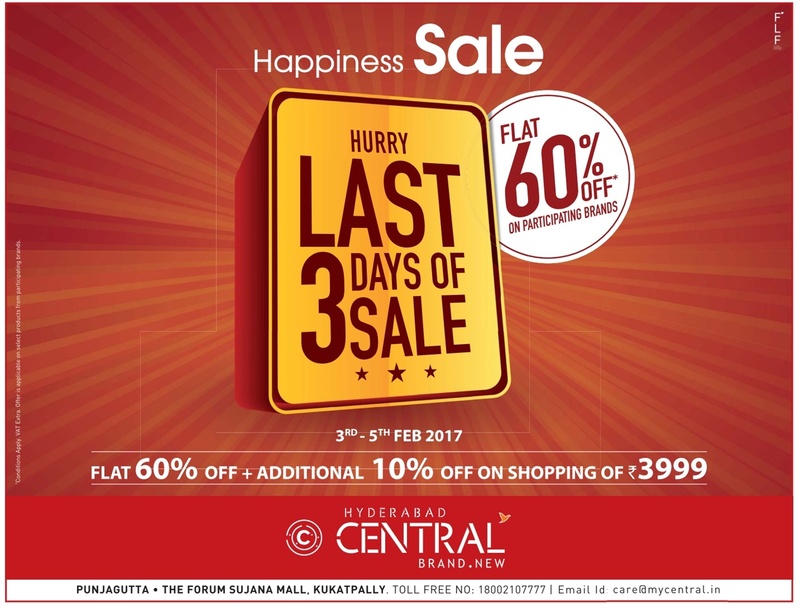 Flat 60% off in Central only for 3 days. 3rd to 5th February 2017. Additional 10% off shopping of Ra 3999. MRP. Happiness gets bigger if you pay through Axis bank - 10% additional discount*. Mobikwik, Paytm or Easy EMI.